Deciding to get into music recording and production can be quite a scary adventure for some people. There are so many pieces of equipment to invest in, which can add up rather quickly. When it comes to condenser microphones, things aren’t that complicated. Today we are going to show you some of the best condensers you can get for $200 and talk about what you can expect to get from them performance wise. To show you just how good some of these are, keep in mind that a few belong to the best condenser microphone list we have put together. Built in gain control on the mic itself adds functionality. 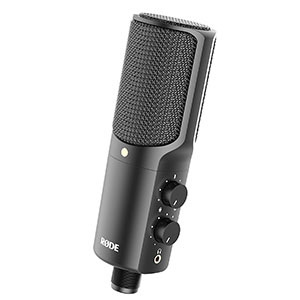 Rode’s microphones need very little introduction, especially in this particular price range. This brand has been building true workhorse condensers for decades if not longer. Rode NT-USB belongs to this group although it isn’t quite your average condenser. Instead of going with a standard XLR build, Rode wanted to offer something with the USB capabilities. Rode NT-USB is the result. Just by looking at it you know it’s built to deliver. The chassis inspires plenty of confidence and is perfectly capable of dealing with the wear of constant traveling, which is what Rode NT-USB was mostly meant for. On top of that, you get a mount as well as a solid pop filter. It doesn’t get much better than this. The tripod that comes with the mic isn't isolated. Following the success of the original AT2020 condenser microphone, Audio Technica has decided to tap into that design even more. They have done this by creating the Audio Technica AT2020USB+ version. As you can probably guess, this model utilizes the USB connection instead of the classic XLR setup. Just as most of us have expected, this new model succeeded too. The overall design hasn’t changed much. Audio Technica pretty much moved a few things around to accommodate for the USB package between the capsule and the output jack. Other than that we still have that same functional and practical chassis that so many of us are used to. When it comes to performance, this mic works as the original model. Software limitation mean only iOS devices are supported. Condenser microphones come in all shapes and sizes. Shure MV88 is pretty much all the proof you could ever need. 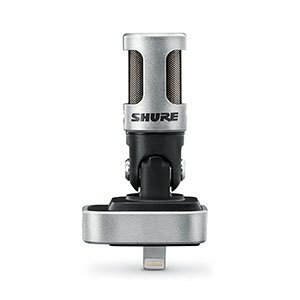 If you know a thing or two about microphones, you probably know that Shure is one of the leading authorities in the industry. That alone should tell you everything you need to know about Shure MV88. However, here’s our take. It’s a portable mic designed to work with iOS devices. What Shure had in mind with this is podcasting and interviewing on the go. If you are a journalist or someone who likes to record lectures, this is pretty much a perfect setup for you. It is small, durable and most importantly it sounds pretty good for what it is. Great performance for a hand held setup, especially outdoors. Doesn't come with a pop shield which is crucial. Every brand of microphones is known for that one model that has made them popular in the first place. For Shure, that model is SM58 dynamic handhold. However, Shure is not the type of brand to settle down too easily. Instead, they’ve made a very similar model but this time it is a condenser and goes under the name SM86-LC. 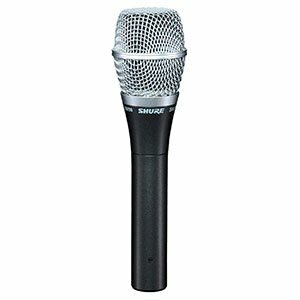 What makes this mic so special is the fact that Shure has designed it to be every bit as functional and durable as the SM58. That means working under adverse conditions on stage, which is something condenser microphones are just not meant to do. That is if you follow the dogma, which Shure obviously doesn’t. Overall, it’s an awesome mic. A fairly precise polar patterns allows you to be accurate. Lacks some features which are standard in this category. Audio Technica definitely offers a wide range of capable condensers. If you are familiar with their budget lineup, you have probably seen the AT2020. The question most people have is what exactly is the difference between that mic and the Audio Technica AT2035? These two mics look pretty much the same, but there is definitely a difference in there somewhere. To make it short, AT2035 is much better balanced in general. Compared to its cheaper cousin, it is warmer and wider in the lower end of the frequency range. 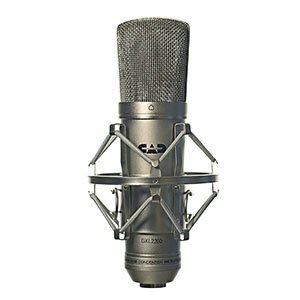 Because of that, many users like to employ it as a vocals microphone because it’s capable of capturing that girth of a deeper voice with relative ease. Overall a great mic. Overall impressive performance that won't disappoint you down the line. Comes with no accessories but that's barely an issue. 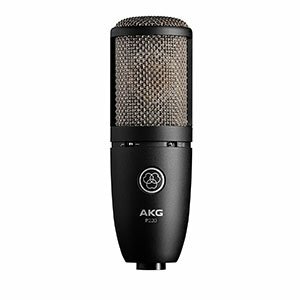 For many year snow AKG P220 has been one of the favorite choices of home studio owners and beginner producers. There is a perfectly good reason for that as well. The fact is that P220 simply does everything well enough. Whether you’re looking to capture rich vocals or record the sound of that vintage classical guitar, this mic will deliver. ​Is it the most accurate thing out there? Not really. However, it comes packed with all the right features. AKG has included a high pass filter as well as a -20dB pad which is probably why P220 has no issues recording high SPL instruments. If you’re looking to get something that\ll get the job done right, this is it. Great performance overall, especially if you're recording instruments. CAD is one of those brands you don’t hear much about, but which are always there in some way or another. Their presence is felt especially when you are trying to find good budget performers. CAD GXL2200 is one such package and it is pretty great. Once you get past its simple nature, you will realize why it’s so great. On the outside, you have a fairly vintage looking mic that comes with no extra features or accessories. Compared to some of the ‘value packs’ out there, that might sound disappointing. However, the SPL handling capabilities of this mice tend to make it all worth your while. You’re looking at a cheap but durable mic that can handle a lot. Fairly precise polar pattern makes recording easy. Small diaphragm pencil condensers are an often overlooked piece of gear, especially when the buyer is a beginner. However, these things are essential if you are even slightly serious about recording instruments. The trick is finding a set that will get you the necessary performance on a budget. Fortunately for us, we have Rode M5 and it is just impressive. For starters, the one thing that sets M5 apart is that this is actually a pair of microphones and not a single pencil condenser. That means that you’re ready to go right off the bat. On top of that, the overall performance is pretty good, considering. These aren’t a budget solution, but rather a great solution that is budget friendly. Great performance for recording vocals, podcasts and similar applications. Good build quality ensures reliable and consistent operation. Even if you are not into music production or recording in general, chances are that you have heard of Blue. The model we are looking at today is a bit different compared to their most popular edition. Blue Spark Blackout SL offers a more refined and fairly streamlined performance for both pros and casual users. In that sense, it’s great. It’s no secret that Blue has aimed this model towards podcasters more so than music producers. The mic is dialed in to give you plenty of warmth, all while being fairly accurate. The build quality and design allow you to really work the microphone efficiently, which is what matters the most in the mentioned application. Overall, it’s a great setup. Great set of features that set it apart from competition. 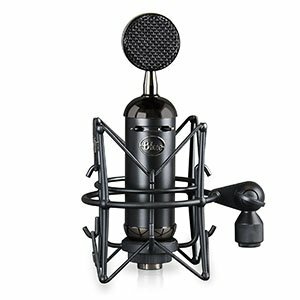 Blue Yeti may not be the best condenser microphone ever, but it sure is one of the most popular and most successful models on the market. Truth be told, you won’t find too many producers using this mic for anything more than vocals. 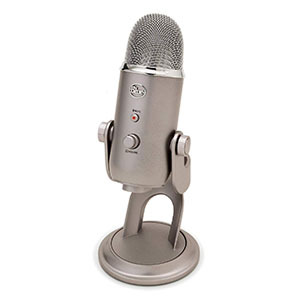 It really became popular among content creators but Blue Yeti also offers some tangible real world performance. The mic itself is quite robust and massive compared to most. It was designed to be used as a desktop mic but also works with a mount. What really makes it great is the fact that you can choose polar patterns, as well as monitor your input with zero latency. If you need a good overall performer, this is it. It is no secret that there are some pretty impressive condenser microphones that cost $100 or less. Those are usually what most beginners go for when they first get into music recording. However, there is a case to be made for the microphones we are talking about today. A $200 condenser is going to be better in a number of ways which will be important to you down the line. Those benefits and specific features are something we will discuss today. The other reason why we feel that a $200 condenser is a good place to start is because you are getting a great balance of price and performance. Truth be told, some of these mics are used in professional settings so we can’t really call them entry level. That doesn’t really mean that you can’t learn and forge your recording skills on one such mic. If you really think about it, all of the regular precautions that apply to any other condenser apply here as well. 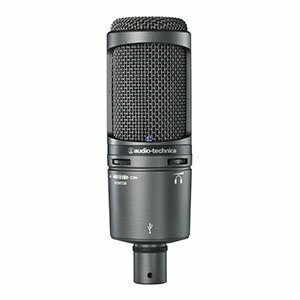 The real reason why a $200 mic is not a popular choice for the majority of beginners is that most of them are afraid to invest that kind of money. Why? Because they aren’t really sure if music production is something they want to do long term. If you don’t have this problem and know that you will produce music long term, we strongly suggest that you make the commitment. Which Features Do These Microphones Offer? Back in the day when all condensers were single polar pattern, producers and sound engineer had no choice but to be creative in their work. These days we have developed more advanced microphone designs which allow us to squeeze more performance out of our gear. When it comes to $200 condensers, they definitely come with a number of interesting features and accessories which are definitely worth mentioning. The first real novelty feature that is worth mentioning are USB microphones. As you can tell, we have selected quite a few such models for our list. The reason for that is quite simple. USB large diaphragm condensers are becoming extremely popular. On one hand you have journalists and podcast creators who need a portable solution for their travels. On the other, there are those who want something capable of recording good quality audio, but without the hassle that are phantom power and mixers. Aside from the obvious design change, there are some smaller features that deserve to be mentioned. Some mics in this price range are going to have a variable attenuation pad. You might get a -20dB and -10dB or some other values as an option. Since these aren’t standard across the board, it really helps to know what kind of work you plan on doing before you make your decision. Keep in mind that said features are also found on much more expensive mics such as the $500 condensers and similar. Accessories have got to be the one thing most new buyers overlook when they are choosing their first microphone. A condenser microphone on its own won’t really be of much use. When you are trying to nail a very specific level of audio quality, it matters what kind of surface your mic is sitting on and whether or not you have a way of filtering high pressure sound waves from reaching the diaphragm. Fortunately for all of us, most $200 condensers arrive with these accessories included. The Rode model we have shown you above offers a great representation of what we mean. It comes complete with a proper stand and a very solid pop filter. The only thing you are left to do is put everything together and get to work. What makes the $200 category so particularly exciting are the numerous pretty unusual designs which you will run into. If you need an idea of what we mean, just look at the Shure model we have discussed earlier. Granted that these mics have a very limited use, but those who need them will most definitely appreciate them. What we are most interested in are sub compact small diaphragm designs like that Shure MV88. The fact that you have the opportunity to record sound with good fidelity, using a device that is about the size of a lighter is quite impressive. Again, this is something that pertains mostly to journalists and similar professionals. Having one of these on your body makes you prepared to take interviews on a minute’s notice should you need to. The best thing is that the quality of sound matches semiprofessional dictaphones. On the other hand, having such a mic at your disposal could be a great way of recording that jam session in the park. At the end of the day a $200 condenser is the best way to get into music recording. These are just too good when it comes to performance to price ratio. Models we have chosen for this list represent some of the best condensers you can get at the moment. Our top pick has got to be the Rode NT-USB. It’s extremely well rounded and offers the best sound quality in most applications. You can use to record vocals, do podcasts, record acoustic instruments and game. With that said, make sure to research the features before you make your decision.